Frazier Glenn Miller’s history of hate: Could the Kansas City JCC shooting have been prevented? Could anything have been done to stop Frazier Glenn Miller? Frazier Glenn Miller appears at his arraignment on capital murder and first-degree murder charges at the Fred Allenbrand Criminal Justice Complex Adult Detention Center in New Century, Kan., on April 15, 2014. 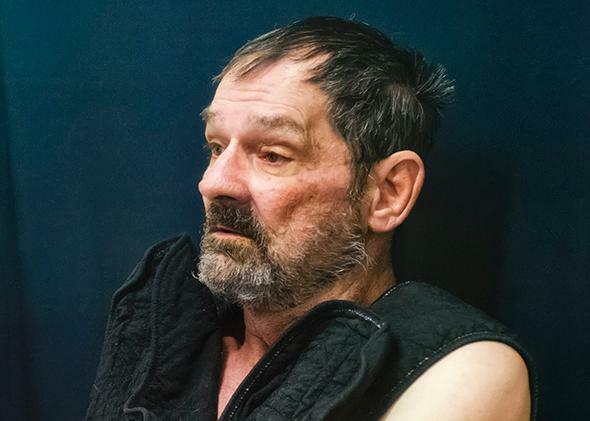 Frazier Glenn Miller, the 73-year-old suspect in Sunday’s fatal shooting of three people outside a Jewish Community Center near Kansas City, Mo., has a decadeslong record of virulent white supremacism and anti-Semitism. He went to prison in the 1980s for weapons charges and for plotting to kill Morris Dees, founder of the Southern Poverty Law Center. In the same decade, Miller founded the Carolina Knights of the Ku Klux Klan and the White Patriot Party. Running for senate in Missouri in 2010, he talked about his views with Howard Stern (our politicians “are all a bunch of whores for Israel”), and he talked to Talking Points Memo in 2012 (“Jews call the shots. But white people, we have no power at all”). Miller called out, “Heil Hitler!” after being escorted into a cop car on Sunday afternoon, and the investigating authorities are treating the shootings as a hate crime. None of the victims were Jewish, but the local police chief said of Miller, “We believe that his motivation was to attack a Jewish facility.” He was charged with murder on Tuesday. So why didn’t anyone stop him? According to Peter Bergen and David Sterman of CNN, “since 9/11 extremists affiliated with a variety of far-right wing ideologies, including white supremacists, anti-abortion extremists and anti-government militants, have killed more people in the United States than have extremists motivated by al Qaeda’s ideology”—34 deaths to 23. Yet Beirich says the government has remained focused on Islamic groups. “You’d want this guy to be on your radar,” she said. But “the Department of Homeland Security doesn’t have a domestic security intel op anymore.” After a DHS report about right-wing extremism leaked in 2009, the backlash from conservatives led the agency to withdraw it. DHS hasn’t issued another report on the topic since. That means “we are more vulnerable,” says Daryl Johnson, the former DHS official who wrote the report and has since left the agency. Under the name “Rounder,” Miller posted more than 12,000 times on the supremacist Vanguard News Network. He also gave the news site money, Beirich says, and helped with distribution. “He was not just an Internet warrior,” she told me. “He was out on the streets for them.” Update, April 16, 2014: Since my original reporting for this piece, the Southern Poverty Law Center has posted audio of Beirich talking to Miller. This built on a lifetime of similar activism. In the early 1980s, when Miller started his Carolina Knights group in North Carolina, the Southern Poverty Law Center brought a civil lawsuit against him and the group for harassing and pointing guns at black people, and also white people who were friends with black people. The suit resulted in a 1985 consent decree that blocked Miller and the groups from operating a “paramilitary organization” and from harassing, intimidating, threatening, or harming “any black person or white person who associates with black persons.” But according to the SPLC, Miller kept at it, changing his group’s name to the White Patriot Party. He was found guilty of violating the consent order, sentenced to six months in prison, and barred for three years from associating with members of his group or other racist groups. At that point, Miller went on the lam. But then he got picked up on weapons and conspiracy to murder charges. And in a plea bargain for those crimes, he agreed to testify against other Klan leaders. Beirich said that while some supremacists saw Miller as a traitor, others excused him, blaming the government for forcing him to testify. Why weren’t Miller’s many hate-tinged statements enough, on their own, to cause him more legal trouble? This is where the debate moves from tracking suspected terrorists to arresting them for what they say rather than for what they do. The American First Amendment tradition protects speech that is hate-tinged and offensive along with every other kind. In 1992, the Supreme Court went so far as to overturn the conviction of a teenager who allegedly burned a cross on the lawn of a black family that had moved into his white neighborhood, because he’d been prosecuted under a Minnesota law that targeted insults or attempts to provoke violence “on the basis of race, color, creed, religion or gender.” The law was unconstitutional because it targeted messages “based on virulent notions of racial supremacy,” instead of applying to all kinds of threats, or fighting words. Plenty of other countries—Canada, France, Britain, Germany, India, South Africa—have signed international conventions banning hate speech. Not the United States. In this country, incitement becomes criminal only if there is a probability of imminent violence. If you think we have the balance wrong, you have company. As Adam Liptak expertly explains here, the former New York Times columnist Anthony Lewis wondered late in his career whether the First Amendment had been interpreted to set too high a bar on punishing “genuinely dangerous” speech. “I think we should be able to punish speech that urges terrorist violence to an audience, some of whose members are ready to act on the urging,” Lewis wrote. Courts in other countries have allowed for this, putting more weight on getting rid of hate propaganda than on promoting free speech. That would never fly in the United States, which might seem like the wrong call after a stock character in a Jewish nightmare spewed hate for decades and then turned violent. In his case, the warning signs merited attention from law enforcement—they should quit training all their resources on Islamists and start watching people like Miller. Still, seeing hate speech, in general, through the lens of his actions is a bad idea.